No other vegetable screams “refreshing” quite like the cucumber and while a pair of slices on lids feels a-m-a-zing, we’re going to suggest that you consume them regularly to reap their health benefits. 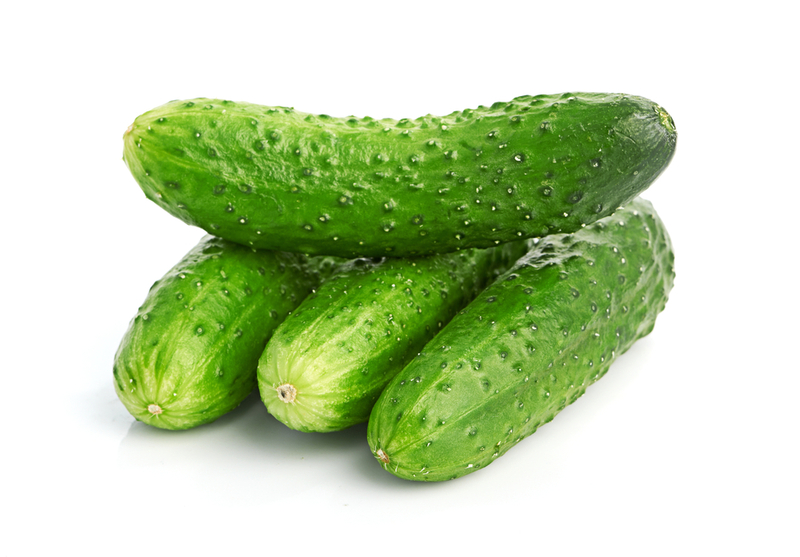 Cucumbers, which biologically are considered fruits, have been described in research as refrigerants and have a cooling effect on the body. They have high water content, are low in calories, and their seeds and skins are rich in antioxidants. Cucumbers are often waxed to extend their shelf-life in the produce section, so give them a good washing if you intend on eating the skins. We are in the middle of cucumber season in the northeast, so now is the time to source different varieties of cucumbers – slicing, burpless [seedless], pickling, Persian, Armenian, Kirby, hothouse – many of which can be found in baskets at your local farmers market. If purchasing pickles, opt for the fermented variety instead of those pickled with vinegar. You’ll get a healthy dose of probiotics with every crunch!